On October 20, 2018 it was exactly two years until EXPO 2020 Dubai. Maximise your brand’s impact ‘connecting minds and creating the future’ at Expo 2020 Dubai by planning your communications strategy now. 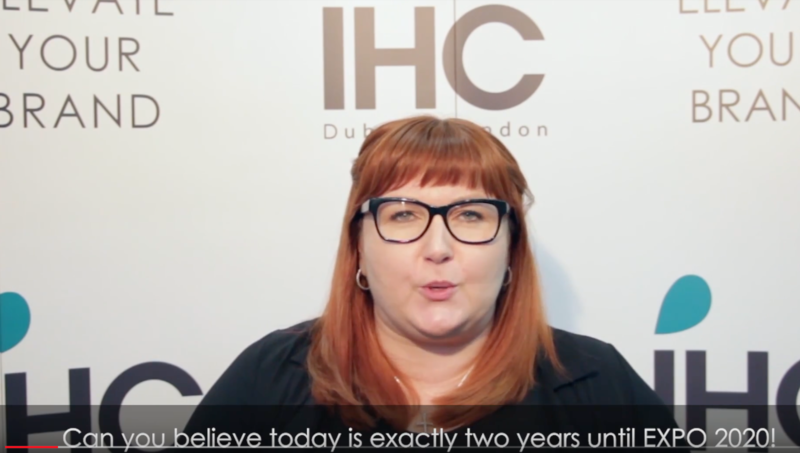 It is nearly 2019 and with the months quickly counting down towards the big event, the Dubai office of international marketing agency, iHC, is already hosting delegations from countries looking to get the jump on maximising their nation’s exposure from exhibiting at Expo 2020. It’s clearly the forward-thinking strategic nature of some of Europe’s leading embassies to be sending teams to marketing agencies so far in advance of the event. However, it might be a real horror show for some of the hundreds of nations and organisations when Halloween 2020 arrives and they realise they do not have a fleshed-out communications strategy in place – and the entire city’s many marketing and media machines are already running at full capacity. Therefore, we thought it would be useful to put together a list of ten things exhibitors at Expo 2020 can consider now in order to engage an agency to begin work on making a real impression at the event, networking better and showcasing their country, organisation, products or services. Expos only come around every five years after all. When it comes to communications, it is always a case of ‘the more time, the better’, as getting even a skeleton strategy down early allows the creative strategic process to begin. Working towards a budget, this is often an iterative process between the organisational leaders and the creatives – be it a communications agency or the in-house marketing team. The more time there is to brainstorm ideas and tactics and come to a conclusion about the best strategy for the country, company, or brand, the more chance of success. All too often, marketing communication strategies are left to last to address, which inevitably leads to comments like ‘we did well considering the time’, or ‘it’s a shame we missed that opportunity’. Consider this: once Expo 2020 ends, all that will be left is the impression you generated (either human or digital) and the new relationships that were hopefully built. You might be on top of your PR plan and may have even released some stories or pitched some key interviews about plans for Expo 2020. However, have you also created a plan outlining how to amplify these all-important articles on social media and ensure they are being read by your target audience? Just as important as your PR plan is your PR+ strategy. 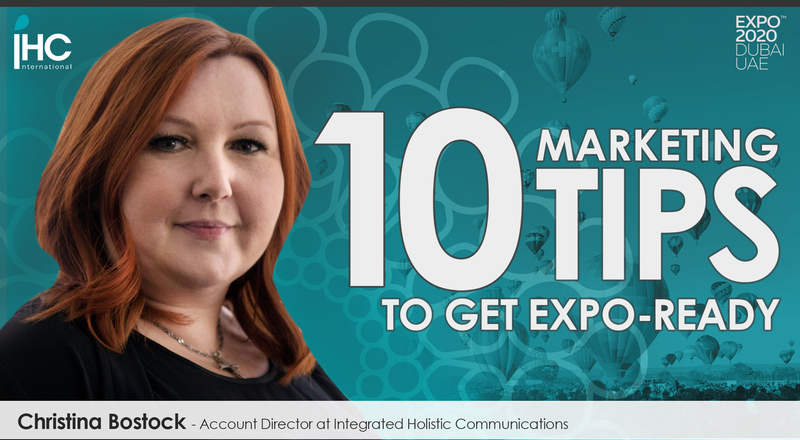 Decide upon your channels early, designate the person responsible for social push-out, set aside budgets and begin ramping up your following on your chosen social platforms to ensure you are primed and ready to get your Expo 2020 messages out to as wide a target audience as possible. Do you already have the right channels and social media strategy in place? Perhaps now is a good time to review your social media content and benchmark it against that of your competitors or other countries. Expo 2020 will play out on social media more than any other platform and it will be vital to have the right talent on board, whether internal or external, to ensure you are not embarrassed by the competition in terms of content, onsite reactiveness and just general social media brilliance. Why not target being the most shared exhibitor on social media at Expo 2020? The only restrictions to success are ambition levels and procrastination – real forward-planning of your social media activities could leave your competition far behind when the time comes. With the region already a hotbed of influencer activity, this exposition will be attended by record numbers of global micro, macro and super-influencers, so ignore this important form of marketing at your peril. Set aside a budget for your chosen agency to build an influencer strategy and begin speaking to some likely candidates to get your messages out to niche and highly engaged audiences. It can take weeks or months to negotiate and create impactful joint content with influencers, so this is certainly one tactic that will benefit greatly from starting early. Also bear in mind, the popular and relevant influencers will be getting their time and attention booked up early, so they may not even be an option towards the opening of the exposition. Depending upon your organisation, you may or may not have your online advertising strategy already up and running. However, this is probably both the most scalable and precise targeting of all your marketing channels. Ensure you have your PPC and Display strategy in place sooner rather than later. Perhaps the overarching strategy and theme requires content to be written and designed, filmed or photographed, which would play a part in your powerful online advertising strategy, whether it is on Google or requires some on-site research – or even has some clever native advertising elements built in. Some traditional SEO methods are still relevant and should be optimised for your planned Expo 2020 activity, but you must ensure your online assets are up to speed, data collection software is in place, remarketing and lead progression plans are ready, so you have all the Google content platforms and your presence across the first page maximised, prior to communications starting. You can easily ask your agency to perform an audit of your assets, including Google My Business, social channels, blogs and your website itself, then suggest some improvements to ensure you are ready to optimise your Expo 2020 SERP. Are you seriously considering exhibiting at Expo 2020 and not putting on your own activations and events? Ponder how powerful a social event or thought leadership roundtable could be with the eyes of the world on the city you are hosting it in? We have hosted roundtables that have changed laws in the UAE within 48 hours, such is the success and influence of face-to-face events in this part of the world. There will be a huge demand for the best hostesses, promoters and brand ambassadors, so book them early, involve them with your organisation and train them. We have over 400 promoters on our books and I can guarantee few of the preferred talent will be available the first day of Expo 2020 – this is a popular form of advertising in Dubai and demand always outstrips supply when the big events come to town. No idea should be left unexplored when it comes to how you can cut through the noise and generate some real, memorable engagement and form physical partnerships that could last forever as a legacy of the event. Video, pictures, animations, design, interviews, podcasts – all the wonderfully creative types of content that make you sit up and pay attention are not elements to leave until the last minute. You can guarantee the best talent, from video producers to photographers and designers, will be booked when Expo 2020 comes around and agencies will have their workflow all planned out. Do your research, engage your agency or book your talent requirements now, or be left with amateurs and juniors. Last but not least, Expo 2020 is a golden egg for all organisations that sell advertising. From print and outdoor, to broadcast and online media, demand will be high – both on a local and international level. As an example, just think how much of a premium advertising on in-flight channels during the six-months of the event will be. Pull your budget together now and engage a communications agency to put together an integrated plan for you to make the most of cross-channel economies of scale. Integrated agencies generally earn a small commission for taking the headache out of this for you and their local knowledge, contacts and ability to create a concerted plan of attack will maximise your budget, message amplification and leave the competition envious. Some sources claim the exposition, which will run for six months from Tuesday 20 October, 2020, could attract as many as 25 million visitors. World Expos have been known to average 200,000 visitors per day and up to 70 million visitors (Shanghai 2010) during their six-month duration. And with around 70 per cent of visitors expected from outside the host country – the largest proportion in the event’s 167-year history – it is an unprecedented opportunity for truly global networking in the region. So ensure you have the right plan in place now, in order to get the most of it for your organisation.